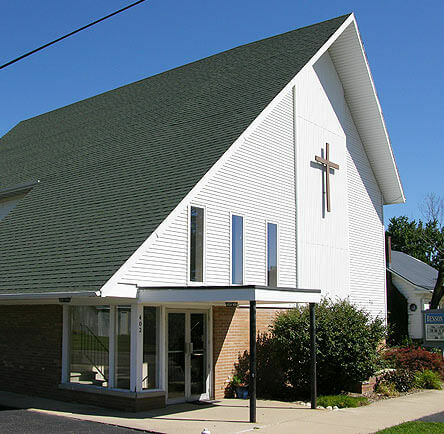 Click to learn about the history of Benson Baptist Church. Our church family begins the Lord’s Day by gathering to study the Word of God. The younger children meet in classes structured for their age. The adults meet in the auditorium. We read and study God’s Word, learning its meaning and how to apply it to the choices of life. Afterwards, we enjoy an informal time of fellowship in the Christian Education Building over coffee and pastries. After our fellowship, we return to the church auditorium for a traditional worship service. This includes singing, praying, giving, reading Scripture, and preaching. Our purpose is to give glory to God for who he is and what he’s done. The most important part of preaching is explaining what God intended to communicate to us and then apply that message to our lives. Our church family gathers together in the evening for more singing and Bible study. Most of the sermons are expositional and focus on the systematic study of the Word of God. Every other month we celebrate the Lord’s Supper on Sunday evening. After beginning with a hymn and opening prayer, we engage in Bible study for about 30-40 minutes. Following the study, we take the remaining time to pray for each other’s requests.